That I am completely in love with Japan by all means. I spend my holidays there, I swap my duty flights to any Japanese destinations when it is possible and I do shopping a lot in Japan. In one of my trips I discovered the SK-II skincare products. As the description on products is it mainly in Japanese I had to ask later between my asian colleagues about these products and I was surprized to discover that all of them are useing these productson daily basis. I looked at their imaculate skins and I said to myself that I have to get my hands on that products. I saved few allowences to get my first travel exclusive pack that contains the Facial Treatment Essence (215 ml) and a night Stempower moisturizer (80g) that I purchased in duty free of Bangkok Airport. My second purchase was a day Facial Treatment UV Protection (30g) from Singapore Airport Duty Free. The products are quite pricey and you can find them only in asian countries (maybe now they start to expand on-line to USA market as well). I do recommend you to ask your friends that travel often overseas to get the products in duty free, where they cost a little less than in city stores. What it is so special about SK-II? The SK-II products are made in Japan and contains exclusive formula to crystal clear skin known as Pitera. The history of SK-II goes back to the 1970s when a scientist in Japan noticed the very soft and youthful hands of women working in a Japanese sake brewery. After years of research the scientists isolated the natural, nutrient-rich liquid which they called Pitera. According to SK-II, this product is a unique, highly concentrated serum that hydrates the skin helping to reduce the appearance of fine lines, while improving the skin’s texture. A light yet powerful replenishing serum with rich moisturizers, and Pitera repeatedly filtered to produce a high-powered anti-aging element. Replenishes thirsty skin, leaving it silky and smooth. Pitera™ is full of vitamins, amino acids, minerals and organic acids that work together to allow the skin’s natural surface rejuvenation process to function at its prime. Amino Acids Provide and help to maintain moisture in the skin. Minerals Provide a treatment for skin texture. Organic Acids Remove and prevent the excess build-up of dead skin cells to create bright, translucent, healthy skin. Vitamins Effectively condition the skin to keep it lively. Saccharides These naturally-derived sugars is one of the components of SK-II Pitera™. Proteins These are composed of amino acids and typical proteins that include keratin and collagen. Derived from a strictly controlled natural fermentation process, Pitera™ is a clear liquid rich in vitamins, amino acids, minerals and organic acids. The fascinating combination of nutrients work to dramatically improve the skin’s natural surface rejuvenation process. This unique and signature ingredient bears close resemblance to the skin’s Natural Moisturizing Factors – a deciding element in the restoration and enhancement of translucency, softness and smoothness. Nature, technology and craftsmanship blend harmoniously to create the miracle of Pitera™ — to present a promise of crystal clear skin that is yours to always keep. Called miracle water as well. For sure not for its funny smell :)) The star product of SK-II is said to be a beauty essence that acts on five dimensions of skin: texture refinement, firmness, radiance, wrinkle resilience and spot control. Made up 90% of pure Pitera, the Essence restores balance in your skin by promoting its natural 28-day surface renewal process. Pour how many you need drops of miracle water onto cotton pad and gently in a quick motions tap against your face and neck skin. 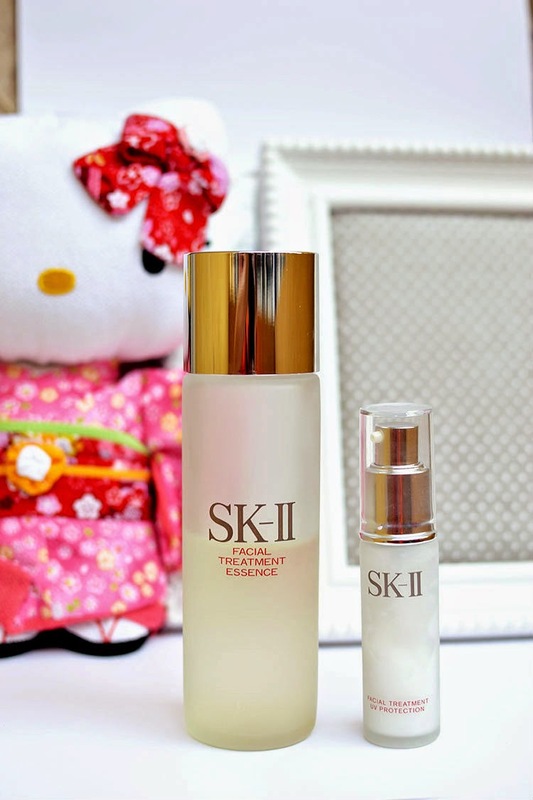 Sk-II Facial Treatment Essence is not a toner, it is an alcohol free formula. So do use it twice a day after cleanser and before your moisturizer or serum. It will control your sebum or any dryness and will make your skin look smoother. You gonna love this product when you'll start see the results. I haven't saw this product anywhere else than in Singapore airport duty free department. Probably part of travel exclusive line that are distributed in airport duty free shops. 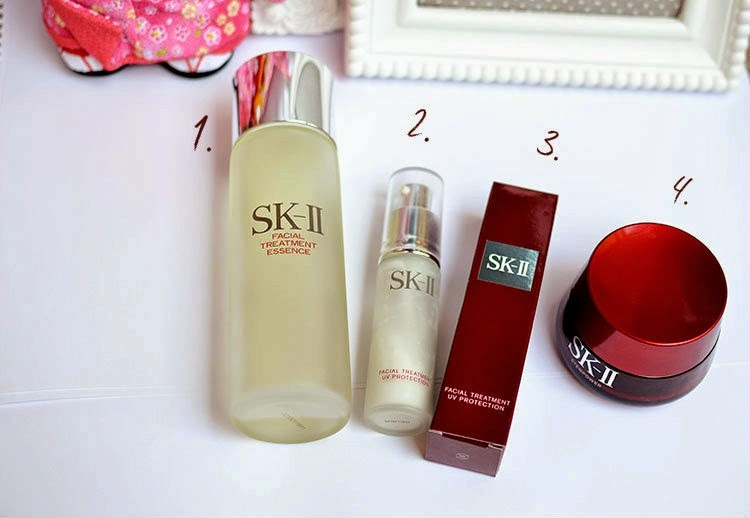 The Facial Treatment is my very favorite from all SK-II products as it is light and rapidly absorbing into the skin. The moisturizer just works perfect for my skin. As I fly more than hundreds hours per month my skin is extremely dehydrated after every flight and I need something really good when it comes to hydration and moisture. I got combinated to oily skin type and most of the moisturizers will leave my face grassy and oily. Luckily SK-II moisturizer it is absorbing fast into the skin, leaving it smooth and it works perfect as a make-up base. Serves a great UV rays protection as well as has 25 SP filter. 4. SK-II Stempower (50g) this moisturizer is designed to deeply penetrate into skin and improve its quality. It promises to address the problem of declination in the activity of the epidermal root cells and help improve the appearance of wrinkles, sagging skin, loss of radiance, poor texture, loss of skin elasticity, visibly enlarged pores, dryness and sallow complexion. This moisturiser doesn’t have a fancy fragrance unlike many creams in the market. The texture is luxurious and rich, and it glides onto the skin smoothly, leaving a velvety feeling and making skin feel a lot smoother. I used it at night (sometimes during day, especially after ultra long flights) and I notice more bouncy and firmer skin. The Stempower Rich Cream is also available to offer the same benefits for those whose skin type is dry. The travel exclusive pack I've purchased is not actually travel friendly as the size of the bottle and the stempower cream are big and heavy. Hope this review have helped you in your choice. I do recommend them 100%. kindly, share with us your thougts for the benefit of all of us. 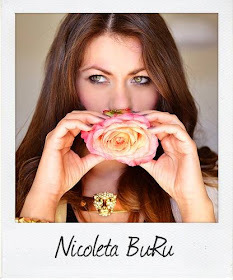 Very nice & interesting products, good post! Thanks for sharing the brand. I never heard of it before.